Disclaimer: not an actual photo of the purported UFO seen over Twinsburg in 1969. On the evening of March 6, 1969, area residents both saw and experienced the effects of one such object. Eyewitness accounts seem to corroborate the presence of a UFO along a stretch of Liberty Drive. Sketch of a unidentified flying object from page 6 of a highly redacted United States Air Force report, from 1969. 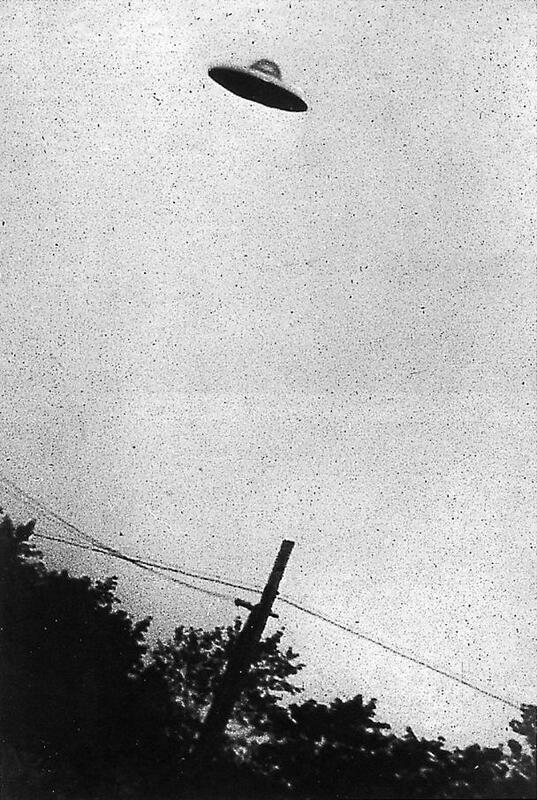 The evidence may have been in the evening sky over the city Feb. 17, 1969. The curious case of one local UFO sighting began innocuously enough in the city of 7,000 with TV interference at a Glenwood Drive home. It concluded, abruptly, with a bizarre visit to the Twinsburg Police Department from a United States Air Force lieutenant colonel and his mysterious, diminutive sidekick. “A letter was sent to the Twinsburg Police Department requesting information on the sighting, however this office did not receive a reply . . . the description of the UFO is similar to past reports of Aerial Advertizing aircraft,” states Lt. Col. Hector Quintanilla, chief of the now defunct Aerial Phenomena Branch at Wright-Patterson. Prange said he doesn’t buy the USAF’s answer in the Twinsburg incident any more than he believes its conclusion from a Portage County case three years earlier, in 1966, when officers were informed that they had just chased the planet Venus for 85 miles, from Ravenna to just outside of Pittsburgh. “They brought out a light colonel . . . another strange little man was with him . . . to question us individually,” Prange said. “The smaller man, perhaps 5 feet tall, was not like us . . . he had strange features, almost like a child who has aged rapidly. He wore a hat, gloves, and he never spoke to us, never shook our hands, just observed. I don’t remember [the colonel] ever even saying thank you. When they left, we never heard from the Air Force again.” Prange added he never experienced anything like the February 1969 call again in his law enforcement career. “You ask me what it was? It was a flying saucer,” he said. 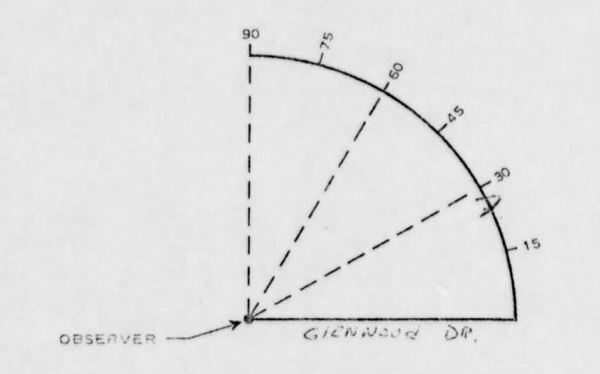 The pencil mark below the “30” indicates the angle above the horizon of the alleged UFO as seen by an unnamed observer along Glenwood Drive.  Posted in Military, Police and Fire, Uncategorized, Urban Myths and tagged Aliens, Aurora, Cannon Road, Glenwood Drive, Gutowski, Mark, Karabec, James, Karabec, Mildred, Liberty Drive, Liberty Park, Police, Prange, Donald, Tomko, Betty, Twinsburg Bulletin, UFO, Unidentified Flying Object, United States Air Force.